The Hilton Whistler Resort & Spa is an elegant and convenient luxury hotel offering superb value for money. It's adjacent to the gondola so you can almost roll out of bed onto the slopes in the morning. The 4 star rated hotel provides free wi-fi, 24hr fitness facilities, outdoor heated pool, hot tub, authentic Japanese Spa and the legendary Cinnamon Bear Bar. The property was originally apartments so the hotel rooms are the largest in resort. The hotel has been recently refurbished and upgraded throughout, providing very high quality accommodation with excellent facilities. This is an ideal hotel for families, as many of the room types connect. Many rooms include kitchens, bath tubs, wood burning fireplaces and balconies. The exclusive Hilton Family Combo rooms can only be booked with through travel agencies, these are the largest rooms in Whistler Village and can take up to 6 adults. Speak to one of our sales team on the phone number above for more information on one of these rooms. You can indulge yourself with a massage at the Taman Sari Spa or relax and unwind in the outdoor pool & hot tubs. 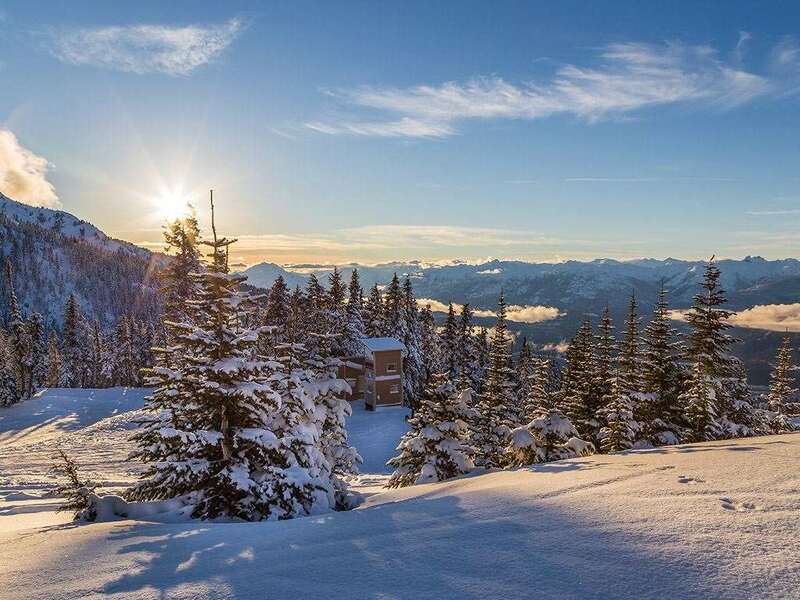 Located adjacent to the Whistler gondola and steps from the Blackcomb gondola with Whistler Village literally on your doorstep. Cinnamon Bear Bar & Grille, serving excellent cuisine by executive chef Julian Owen-Mold. The Cinnamon Bear bar is one of Whistler's finest apres bars with it's giant screens, pool tables and interactive games. Taman Sari Royal Heritate spa with massages and treatments available. 287 rooms and suites have air-conditioning, high speed internet, flat screen TV with pay movies and Nintendo, minibar, Lavazza single serve coffee makers, in-room safe, iron and ironing board and full bathroom with bathrobes and hairdryer. Hilton rooms (A4) 325 to 550 sq. ft sleep 1 to 4 with two doubles or two queen beds. The rooms are large and spacious, and all are beautifully decorated. Junior Suites (B2) 343 - 417 sq. ft sleep 1 to 2 studio with one queen or one king bed and has a kitchenette. Whistler Junior Suites (C4) 600 sq. ft sleep 2 to 4 with one king and a queen size sofa bed, wood burning fireplace and fully equipped kitchen with a breakfast bar, sitting area and balcony.